Mega Sale! 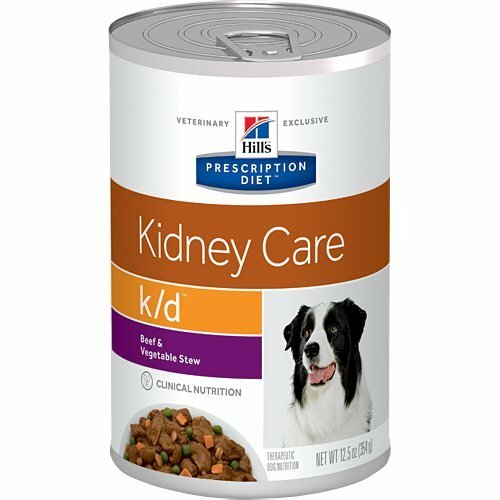 Save 21% on the Hill's Prescription Diet k/d Kidney Care Beef & Vegetable Stew Canned Dog Food 12/12.5 oz by Hill's Pet Nutrition at newmexicoveterinary.org. Hurry! Limited time offer. Offer valid only while supplies last. Kidneys are important because they remove waste substances from the blood, and maintain the normal balance of fluid and minerals within the body. Kidneys are important because they remove waste substances from the blood, and maintain the normal balance of fluid and minerals within the body. Once kidney damage occurs, the consequences are usually irreversible. Hill's nutritionists and veterinarians developed Prescription Diet k/d, clinical nutrition especially formulated to support your dog's kidney health. In fact, k/d is clinically tested nutrition to improve & lengthen quality of life. This irresistible food makes it easier for you to bond with your pet with gently cooked, bite-sized chunks of real beef and natural ingredients with added vitamins and minerals.